Isn’t parenthood an amazing thing? One minute we’re on cloud nine because our little one has just learned to walk or we’ve made progress with the sharing issue we’ve been having or both children have slept through the night without a single wake up, and the next minute we have hit rock bottom because we’re tired and moody and our children seem to know just the right buttons to press to get a quick and immediate rise out of us. Before I discovered respectful parenting through RIE, my buttons were bold and bright and within easy reach of my children. I would react instantly and without careful thought of what the future consequences might be to my children or my relationship with them. Usually this involved yelling and scolding, sometimes with a light smack just to reinforce my point (or really because I was at a loss for a better way to react). This always ended in tears and slowly, my relationship with my eldest girl (then 18months) deteriorated to the point where she never wanted to cuddle me, even if I had been away for an amount of time. I was so pleased, therefore, to learn of a much more peaceful and respectful way to parent under the guidance of Janet Lansbury’s blog and Facebook page which demonstrates how Magda Gerber’s parenting philosophies should be put in action. 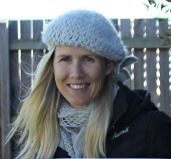 I was impressed by the useful strategies provided by Janet and those contributing to her page and I found I was able to make significant changes to my parenting in a way I never thought possible. 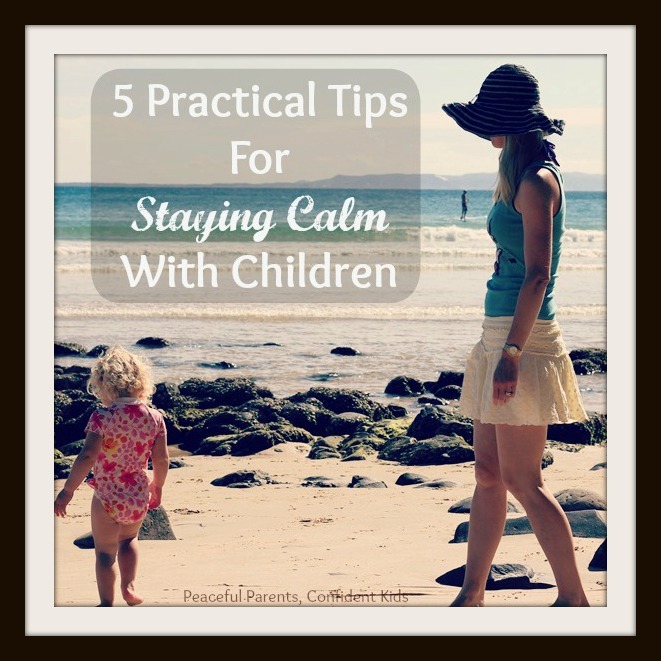 The mood in our household was almost instantly changed and even my husband, seeing how amazingly different the children were using these strategies, got on board and started reading and parenting peacefully with me. Recently, however, things took a turn in our household and although I know that what I am going to write about next may receive some criticism, I wanted to share my experience as further proof for the effectiveness and loveliness of RIE parenting. We have worked hard in our household to create an environment where the children feel loved and supported and where they can play safely with play objects that foster creativity, imagination and problem solving. My two girls have very different personalities and although close in age (13 months) have such different ways of approaching play, that they sometimes find it difficult to play peacefully side by side. Lucy (2.3 years) is an adventurous, high-spirited, fun-loving girl who loves rough and tumble play and anything that is active and uses a lot of energy. She doesn’t tend to sit for long periods of time with one activity but rather will flit from one thing to the next very quickly, enjoying the cause effect relationships of knocking over, tipping out or watching things fly about when she flings her hand back and forwards between them. Penny (1.2 years), however, is a much quieter child. She is happy to fully explore one play object, tipping it upside down, putting things in it, taking them out, dropping it from a height, putting it on her head or putting it up to her mouth and making sounds into it. She too is fun loving but much less adventurous, carefully considering her options before heading into something full steam as Lucy would do. Penny’s patience in her play seems to frustrate Lucy who prefers the excitement of action and drama. have led to some pretty intense conflict in our household over the past few weeks. At first it began with subtle behaviours. Lucy would see Penny standing at the bench playing with something and she would walk over and assume a position beside Penny, slowly using her body to push Penny out of the way so she would fall and leave her activity behind. In these early days, I remained calm in my discipline informing Lucy that I would not let her push Penny and then blocking any future attempts she made to do so. I also made sure to talk to Lucy about her feelings “Are you feeling rough towards Penny right now?” “I know its hard being a big sister sometimes, I understand and love you but I won’t let you hurt Penny.” This did not seem to deter Lucy, however, and the intensity of her actions against Penny grew over several weeks to the point where Lucy would hit, kick, push or even bite Penny at every opportunity throughout the day. Whether Penny just happened to stroll into Lucy’s play space or was happily playing on the other side of the room, Lucy would make a beeline for her and inflict pain. Of course, it didn’t take long for Penny to become extremely distressed by these occurrences. She would cry hysterically on each occasion and even if Lucy was just approaching her, she would quickly drop whatever she was doing and try to make a hasty escape. As parents watching this happen, we were distraught. We were trying all we could to stick to the RIE way and discipline calmly with understanding. We changed nap times to limit the time the girls were awake together, we read books with kindness themes and we spoke regularly to both of them about the experiences and feelings they were having. We kept this up for as long as possible until one day, after a particularly hard day with the girls, we made the decision that the discipline we used needed to be amped up. Although I had been reassured otherwise, I had taken on board warnings from a follower that this type of behaviour in children is akin to abuse and can lead to long term feelings of oppression and fear in the victim. For the emotional and physical safety of Penny, we decided we needed to try a punitive style of discipline with Lucy in the hope that this would make a quick change in her behaviour and Penny would not suffer any longer. Moreover, we were getting so wound up ourselves each time Lucy lashed out that it seemed we could not contain our anger any longer. We justified it to ourselves by the fact that everything else we do with her is respectful and thought we could do a debrief with her once we had reduced the behaviour to a point where we were no longer worried for Penny’s well-being. So, every time Lucy used an aggressive behaviour towards Penny we would state angrily “I will not let you push/hit/bite Penny. Go to your room.” Each time this would happen Lucy would immediately run off to her room, letting out a very emotional cry as she disappeared down the hallway. We then tended to Penny before heading to Lucy’s room where we would find her sobbing with her ‘bunny’ on her bed. We would speak to Lucy about why she was sent to her room and ask her to come back and say sorry to Penny when she was ready (another break from the RIE recommendation to refrain from forcing an apology from young toddlers). This went on for a day and a half and our household became an extremely stressful, emotional and unpleasant place to reside. Lucy quickly figured out that all she had to do to get out of her room was to say sorry to Penny and often she had run back to us before we had even made it to her room and blurted out a sorry to Penny on her way past. It was clear, however, that she did not really understand the meaning behind the word as within three minutes of the apology she was once again being aggressive towards Penny. Another day passed and I started feeling like the worst Mum in the world. Lucy’s behaviours were not easing and in fact her emotions and reactions to simple requests were getting more and more extreme. This only lasted one more morning and as I sat communicating to my friend the trials and tribulations of our previous three days with the girls, still trying to justify my actions as being for the sake of Penny’s well being, I started to realise that there had to be a better way. This couldn’t continue because no amount of debriefing was going to provide Lucy with the understanding of why we were treating her like this. 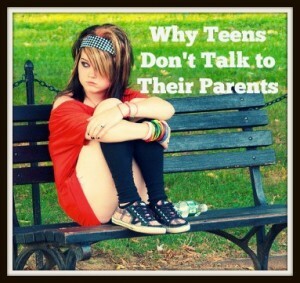 She was crying out for help and as parents it was our job to figure out what was going on for her and try to help her. That afternoon, I took leave from housework. Cooking, cleaning, washing, everything would have to wait. It had dawned on me that we were trying to address the issue of aggression after it had already occurred and Penny had already suffered. This in turn was sparking a huge rise in my husband and myself that manifested in anger towards Lucy. It resulted in a reactive response that went against my own teachings that I wanted to be a ‘rock’ for my daughters, showing them that no matter how bad things got, I could remain calm and my love and support of them would be unwavering. So I got into the girl’s play space. I positioned myself so that I was always within arms reach of Penny. Yes, this meant a lot of moving, following and climbing into things with her. It was not good enough to be sitting on a chair watching them play. I needed to be right there so that when Lucy felt the need to be aggressive towards Penny (and she did) I could be there to block it. So Lucy would approach and I would be vigilant, using lightening fast reflexes (thank goodness I’m a PE teacher :-)) to physically block Lucy’s hands as they lashed out towards Penny. As I would do this, I would look at Lucy and state calmly ‘I will not let you hit Penny. It can hurt her.” At first she would whinge a little and try a little harder but only for the first couple of times I blocked her. After that, she became much more resigned to my resolve to protect Penny. Meanwhile, Penny continued in her play blissfully unaware that she had very nearly been hit or pushed. The tension in Lucy would often visibly dissolve. It was almost like she was saying “Oh, thank you, Mum. I didn’t want to hurt Penny but I didn’t know what else to do.” I remained vigilant like this for about three or four days. At first I would have to block altercations up to a dozen times in a day but over those days, they became much less regular and finally got to the point where I could leave the girls for short amounts of time to get a tissue or grab a water bottle etc. We are now at the stage where I can leave the girls to play but still monitor vigilantly from a little further away. I have come to recognise little cues in Lucy’s behaviour that make me suspect there is some tension building. For example, her actions become a little more frantic and she starts moving without real purpose. It is then that I move in to block any contact she might try to make with Penny. 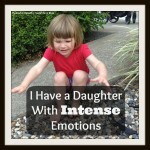 I still talk regularly to the girls about feelings they may have and how I understand it can be hard for them. I usually finds that this evokes a tender response such as a cuddle which I am always happy to give :). Throughout this whole period we have come a full circle back to using the RIE approach that we should have adopted right from the beginning. I have learnt without a shadow of a doubt that we are all human after all but I am pleased to report that things have calmed right back down in our household for now. I am absolutely confident that using this strategy, both girls will come out the other side of this phase feeling protected, loved and supported. The difference between punitive and nurturing discipline is the difference between fostering a tense, suspicious relationship with a child and creating a bonding relationship that will allow a child to remain confident always in the love and care they have from their parents. It takes a little more invested time but the rewards are aplenty and I wouldn’t have it any other way. 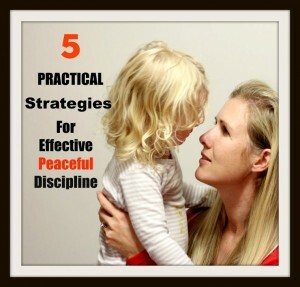 This entry was posted in Peaceful Discipline, Sibling Rivalry and tagged aggression in toddlers, Conflict Resolution, Discipline, nurturing discipline, punitive discipline, RIE on May 22, 2013 by peacefulparentsconfidentkids. Thank you so much for this. My son had a hard time when my daughter arrived. I take a lot of my parenting guidance from RIE and have found it to be amazing for my kids (Age 1 and 3) and their relationship! 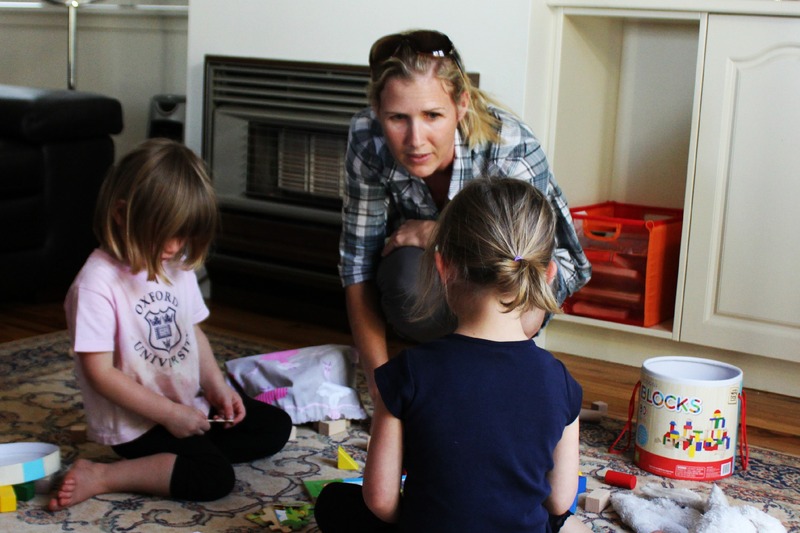 Thanks so much for writing this – I sometimes think to myself, “I’d be a great mum of one, but I sure struggle being a great mum of two!”. I’ve got two children (a two year old girl and a three year old boy – 15 months between them) and lots of the things you mentioned happen with me although often the other way around, with my 3-year old boy having his play ruined by a very over-excitable 2 year old sister who likes to break his creations. I have picked up some tips from you and try every day to be patient and find positive ways to deal with their interactions, hopefully they’ll be best of friends when they’re a bit older! 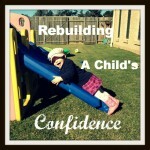 Wonderful post, so glad I found this blog! This was always the hardest part of being a toddler and preschool teacher, seeing the signs of building tension and stopping it before it became a punitive situation (read biting, hitting, etc). It really is the key to a peaceful environment, and is a good way to teach little ones how to read their own signals that they are about to lose control. I imagine you’ll start to see Lucy begin to self regulate and de-escalate herself (baby steps of course) now that she is learning from you when her limit is reached in regards to wanting to lash out. Wonderful post, so glad I found this blog! Very informative on how we handle toddlers without punishing them physically. I wish I had found your posts much sooner. I think I’ve handled things so badly with my 3 year old, I grew up with lots of violence and this came up in my parenting style with her. I had to go back to work when she was 1 and was working shifts so the bond between her and has daddy has increased. In addition, I have a medical condition and via medication I’m taking is making me aggressive. I finally found out and I’m in the process of switching medications but this left me and my daughter at a very bad point. There is no bond between us and I keep trying to build it and re-gain her trust. It’s not going to happen overnight, I know, but I want so much to be able to make things right again. I keep reading posts like this and hope that I will gain some insight of what is happening in her little soul when she lashes out to hit me and scratch me. The problem is that I ended up taking it personally and reacted wrongly and now she’s a hitting other children at her day care setting. We’re trying to use connection (from the aha parenting advice). Any other suggestions are welcome. Oh, Maria, it sounds like you have been going through such a rough time. Your story sounds just like mine before I found RIE. The good news is that although, you feel you have little connection now, it will grow and soon it will be like you never lost it. Children are immeasurably forgiving. All they want is to feel loved and understood especially as they try to make sense of themselves and the ways of the world – not an easy task for a youngster lacking in many of the socio-emotional brain synapses we end up with as adults. You will strengthen your bond every time she melts down and you hear her, love her and are there for her. When she lashes out at you she wants to know that your love for her does not waiver. Show her that it doesn’t, that you don’t take it personally and can see she is hurting inside. Focus on her pain rather than yours. Your daughter has a lot to learn and she will learn more from watching you model kindness, generosity and compassion than she will from being punished or lectured about her behaviour. Lastly, hang in there. Like you say, this won’t happen overnight but with the changes you are making to your life, you will start to see some breakthroughs soon!